Forget zip-ups and button-downs, pull-over is the latest outerwear trend. Every athlete knows that education is a crucial part of performance. Sport and exercise research, insight from top trainers, science, technology,help you to better understand your body so you can craft a healthier lifestyle, workout routine, and recovery plan. Ourdaily news seriesaddresses some of the latest fitness, nutrition, and style topics. Previously seen as a staple for outdoor adventures only, anoraks (waterproof pullover jackets) are now having a moment for everyday wear among the style-minded active set. On the runway, renowned labels such as Balenciaga, Off-White, Versace, and Gucci are showing their own iterations. 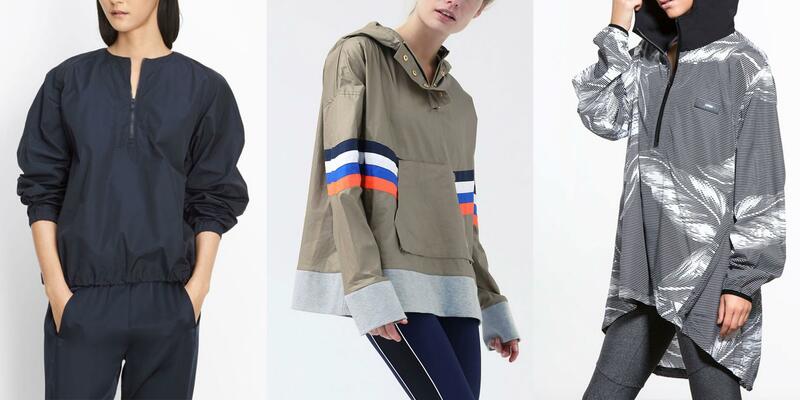 Off the runway, trend forecasting company Worth Global Style Network (WGSN) says anoraks will be big in athleisurefor 2017 to 2018. For further proof, just stake out the gym lobby at prime time and you'll be sure to see fit bodies sporting the coat to and from workouts.